With teams allowed to contact and enter into contract negotiations with unrestricted free agents on March 7, and NFL free agency opening on March 9, rumors are starting to heat up. And since we’ve already told you who we think the best available free agent wide receivers are, we’re going to focus this time on who we think the best available free agent running backs in the NFL are and where we think they might be going. At 25, Le’Veon Bell has actually only played all 16 games one season. But it isn’t due to injury as much as it’s due to off the field issues and suspensions. Regardless, he’s averaged at least 115.4 total yards per game each of the last 3 seasons, and is a major part of the Steelers’ success. Steelers GM Kevin Colbert has already said he has “no reservations” about free agent Le’Veon Bell, and that he hopes Bell retires with the team. Bell wanted $15 million per year last season and that’s probably gone up with his performance in 2016. But Colbert has every reason to pay up, as Bell is a critical component of the Steelers offense, he’s likely to avoid surgery for his recent groin injury and any future off-the-field issues leading to suspension would void Bell’s guaranteed money. Regardless of whether the sides can come to terms, NFL Network’s Ian Rapoport reports that the Steelers have no concerns using the franchise tag on Bell. So, even if the off field issues and injuries are a concern, it looks like that Bell will be back with the Steelers next year absent a drastic change in position. UPDATE (Feb. 27) – As predicted, the Steelers have used a franchise tag on Le’Veon Bell. A long term contract can still be worked out. Steelers use exclusive franchise tag on Le'Veon Bell. Means no team can sign him. One yr, $12 M and change. But how they’ve done in the NFL is a completely different story. Two are already out of the league, two went to the Pro Bowl and two aren’t the primary backfield options on their own teams. But one of those, who went to the Pro Bowl, is free agent Eddie Lacy. At only 26, Lacy himself has been all over the map. He’s had two seasons with 1,100+ rush yards, winning Rookie of the Year in 2013, and two seasons filled with underperformance and injury. In fact, it really came to a head at the end of 2015 when Lacy was significantly overweight and had to suffer through P90X to get back in shape. One year later, and he’s back at the same place with an ankle injury to boot. Packers coach Mike McCarthy said he wants Lacy re-signed. 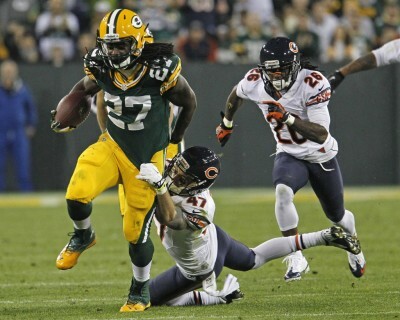 McCarthy on #Packers RB Eddie Lacy: "I'd love to see Eddie back." But he’s also said that no decision will be made until he “clears the medical threshold” due to the ankle injury. But even if the Packers do decide to re-sign Lacy, the question is for how much? Pete Dougherty of the Green Bay Press-Gazette believes that Lacy will likely have to settle for a one-year deal in the $2 million range. With James Starks cut, and ex-WR Ty Montgomery remaining a question mark regarding his ability as an every-down back, bringing back Lacy on a cheap one year prove-it deal may make sense for the Packers. This is particularly true in light of Lacy’s frequent weight issues. As I mentioned above, we’ve all heard of Lacy’s P90X program to get back in shape after the 2015 season. And we all thought that was now all in the past. But apparently it wasn’t, as Dougherty also reported that Lacy was “fined for not making weight over the last couple of seasons” and he still keeps packing on the unproductive pounds, currently being overweight. If the Packers don’t bring him back, it will be interesting to see if he has any suitors in the open market. But I suspect there will be at least one team that’s willing to gamble on him getting back to early career form. Looks like the Seahawks and Vikings are potential landing spots, as well as returning to the Packers. Packers' RB Eddie Lacy is scheduled to be in Seattle today and tomorrow, then on to Minnesota for Sat-Sun, before visiting Green Bay. And perhaps Seahawks have found Beast Mode ver. 2.0? LaGarrette Blount has been an interesting case study. At 30, he’s the classic example of what being in a Bill Belichick system can do for particular players. After causing some issues for himself in college (getting suspended for punching a Boise State player) and going undrafted, he had a relatively unsteady relationship with the Tampa Bay Buccaneers over the first three years of his career. Left for the scrap heap after only having 41 carries in 2012, he was traded to the Patriots for a 7th round pick in the 2013 Draft, reviving his career to the tune of 772 yards and 7 TDs. He parlayed this into 2 year deal with the Pittsburgh Steelers, which ended when he was released after only 65 carries over 11 games for walking off the field prior to the end of the game in protest over riding the bench. He then went back to the Patriots and again revived his career over two and half solid seasons culminating in a league high 18 TDs in 2016. And it’s clear that Blount wants to stay with the Patriots. Even thought another one year team friendly deal makes sense for the Patriots, we all now that Belichick can make almost any RB work in his system, plus Dion Lewis is back at full strength. If Blount does get to the open market, ESPN’s Michael Rothstein thinks the the Lions, with a stable of perpetually injured RBs and having the worst rush attack in the NFL, may look to add him. Of course, Blount would likely have to take an incentive ladened deal, but he should at least have a few suitors after his career year. 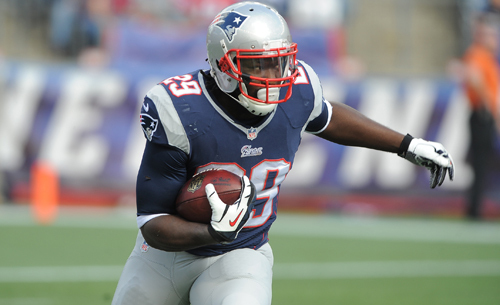 Not much action on the Blount front, but it looks like that he won’t be returning to the Patriots. After being drafted in the 6th round by the Raiders in 2013, Latavius Murray sat out his rookie season due to injury. But he broke into the scene in a big way with 4 carries for 112 yards and 2 TDs on November 20, 2014 against the Chiefs, before going out with a concussion. In 2015, Murray had his first 1000+ yard season, but then proceeded to get stuck in a time share with rookies DeAndre Washington and Jalen Richard in 2016. Now 27, it looks like Murray’s future team is still up for grabs. Murray has mention that he wants to re-sign with the Raiders. But many believe that the Raiders will move on. The Raiders have actively looked to replace Murray in each of the last two offseasons, looking at DeMarco Murray in 2015 before considering signing Matt Forte and drafting Ezekiel Elliott last year. And although Raiders GM Reggie McKenzie seems to want to re-sign Murray, it’s also clear he’s anticipating Murray testing the open market. And it seems more and more likely that he’ll be doing some significant shopping. I'm told #OAK expects to let RB Latavius Murray go into FA. Source: "The door will remain open for a posb return after he tests his market." The benefit of being in a three-way timeshare in 2016 is staying healthy. Murray still has plenty of run left and could easily slide in as a primary backfield options for RB needy teams. 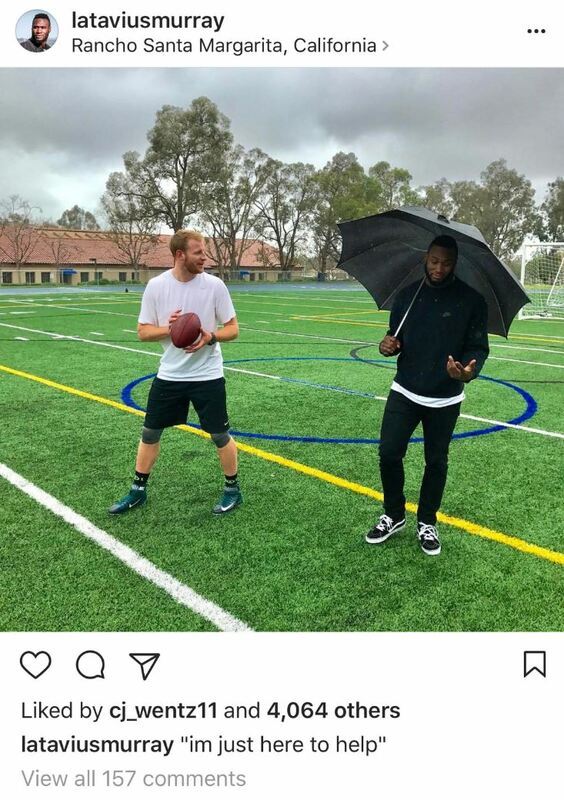 UPDATE (Feb. 28): Looks like Derek Carr also wants Murray back with the Raiders. Rumors are starting to pick up steam that Murray will not be back with the Raiders in 2017. With Eddie Lacy off the market, and Charles still set to visit, Murray is now visiting with the Vikings. Raiders' RB Latavius Murray is visiting the Vikings today, per source. Jamaal Charles' visit to Seattle on Wednesday is still on. 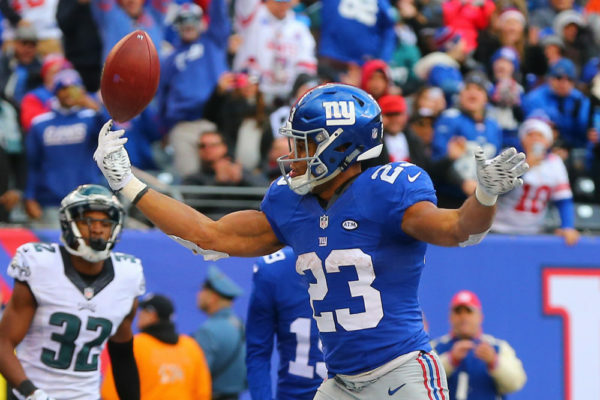 At 32 and entering his 9th year in the league, Rashad Jennings might not be getting many more opportunities to start in the backfield. Although having the best season of his career in 2015 staring every game for the New York Giants, he only averaged 3.85 yards per carry over his 3 years with the Giants, and bottomed out at 3.27 yards per carry in 2016. Plus, with the Paul Perkins coming on at the end of the season and Shane Vareen now healthy, Jennings found himself stuck as the uninspiring veteran portion of a messy timeshare. So it’s no wonder that, although Jennings wanted to return, the Giants decided to release him. The Giants are also releasing starting RB Rashad Jennings, per sources. He was set to count over $3M vs salary cap and will save them $2.5M. Jennings should be able to find backup RB work on the market, or a veteran RB position on a team looking to draft an RB in the upcoming NFL Draft, but he’s unlikely to garner many suitors. But he can be had for cheap and won’t require much, if any, guaranteed money, so could be a decent option for those looking for a short term stop gap solution. So there haven’t been any teams calling about Jennings, BUT he HAS teamed up with dancer Emma Slater and has a chance to win the “Mirrorball Trophy” on “Dancing with the Stars”! Also at 32, Danny Woodhead’s prospects are actually looking up, as the although he missed nearly the entire 2016 season with a torn ACL, the San Diego Union-Tribune reported in mid-January that his recovery was “six weeks ahead of schedule.” And it sure looks like his ACL is doing OK so far, at least on the golf course. 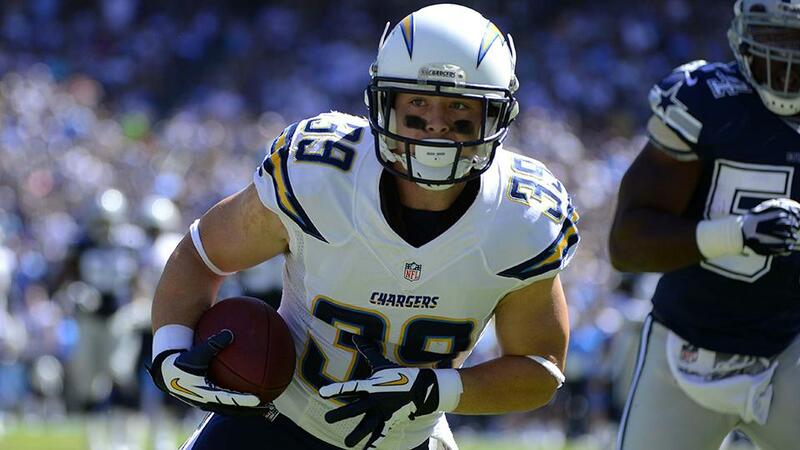 Plus, the Chargers have let be known that they “hope” to re-sign Woodhead, likely to be used as a change-of-pace now that Melvin Gordon has proved he can be an every-down back. If the Chargers let him walk, though, it wouldn’t be surprising to see a few teams looking to catch lightening in a bottle with Woodhead, as he’s otherwise shown good endurance and excellent ability catching balls out of the backfield totaling 605 receiving yards and 6 TDs and 755 yards and 6 TDs for the Chargers in seasons where he managed to play all 16 games (2013 and 2015 respectively). Surprising move in light of Kenneth Dixon’s presence in Baltimore, but Woodhead is still a solid pick up coming off of injury and missing all of 2016. Adrian Peterson is now an unrestricted free agent since the Minnesota Vikings decided not to exercise the 2017 $18M option on his contract. Peterson has said that it’s not over yet in Minnesota, as they could still come up with a deal, but he’ll at least be testing the waters of free agency. The #Vikings will not exercise the 2017 option on RB Adrian Peterson’s contract. He'll be an unrestricted free agent. At least one analyst has mentioned that the Green Bay Packers might be a good landing spot for Peterson, seeing as how they need a productive RB to pair with their high flying passing offense, have already cut James Starks, and may part ways with Eddie Lacy. Peterson barely played in 2016 due to injury, and might have tried to get back on the field too soon at the end of the season, but he’s still AD, and the time off might have helped. In addition, there’s been some rumors that Jerry Jones still wants Peterson in Dallas, which in my opinion, makes little sense when you have Ezekiel Elliott. And apparently, the rest of the Cowboys management agree, as the Fort Worth Star-Telegram now reports, via a “team source, that the Cowboys will not pursue Peterson. Looks like Peterson is thinking about going to the Raiders, Seahawks or Patriots (perhaps at a discount), but the level of these teams’ interest is unclear. RE: Adrian Peterson: 1. #Raiders. 2. #Seahawks 3. #Patriots. If it's #Raiders, it will be done quickly. I believe he'll seek $4-$6 mil per. On #Raiders and Adrian Peterson: Source said interest level is more on his end to join team than theirs. Jamaal Charles is also now an unrestricted free agent after being released by the Kansas City Chiefs. Charles has only played 8 games over the last two years due to injury, but could make for an interesting pickup as part of a timeshare in the backfield. He’s already been linked to both the Dallas Cowboys and the New York Giants. He’s reportedly looking to sign with a postseason contender. Looks like there may be room for Charles in Seattle. Would be interesting, but would likely end up sliding into a RBBC, perhaps as a third down back, with the Seahawks. And even with the Seahawks picking up the Eddie Lacy, looks like Charles’ visit is still on. Keep it tuned in throughout the offseason and we’ll keep you up to date on all the free agent moves!